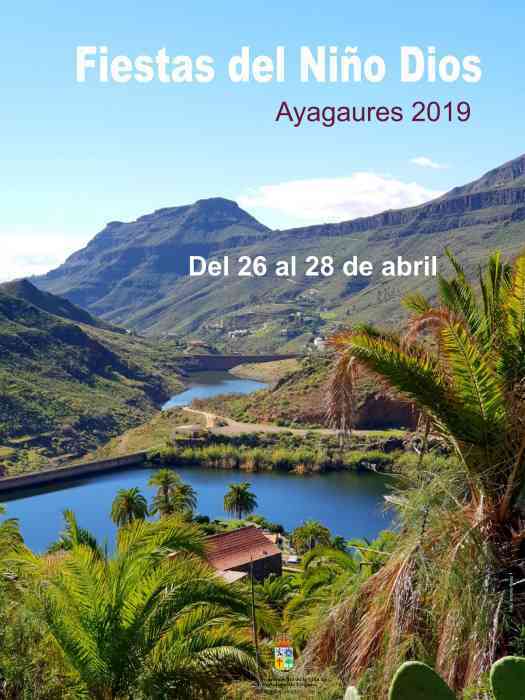 Patronal Celebrations in the lovely neighbourhood of El Tablero 9-19 May 2019, on the other side of the GC-1 from Sonnenland, in honour of the holy Trinity and on Saturday 11 May, the traditional Romeria pilgrimage. Patronal Celebrations in the lovely neighbourhood of El Tablero, on the other side of the GC-1 from Sonnenland, in honour of the holy Trinity and on Saturday, a traditional Romeria pilgrimage. 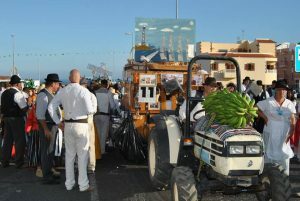 at 18:00 a Romeria, the pilgrimage offering, with all the people dressed in traditional Canarian outfits with carts full of offerings to their patron saint. The route usually starts from the sports centre in El Tablero. Later there will be entertainment and music until the wee small hours of the night. The big weekend for the Fiestas del Pino, sees more than 200,000 people going to enjoy the Pilgrimage-Offering, the day of the Patroness and Las Marías. 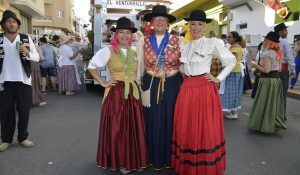 The major fiesta held in Teror is the Fiesta in Honour of Nuestra Señora del Pino (Our Lady of the Pine), patron of the island of Gran Canaria. It dates back to the seventeenth century when the venerated statue of the Virgen del Pino was taken down to the island capital in order to add emphasis to their prayers for rain. 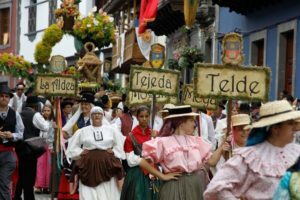 By the eighteenth century a pilgrimages had started to become one of the most popular events, and still these days they remain as one of the main attractions of this traditional fiesta. The meeting of the faithful and the procession-goers on the road to Teror throughout the night are now a custom that draws thousands of visitors and residents from across the islands. 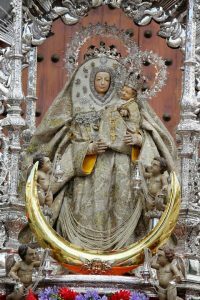 Monday, 9 September is also a bank holiday on Gran Canaria, so most non-tourism oriented shops will be closed to celebrate the revered patron saint of Gran Canaria, in honour of the Virgin of the Pine.